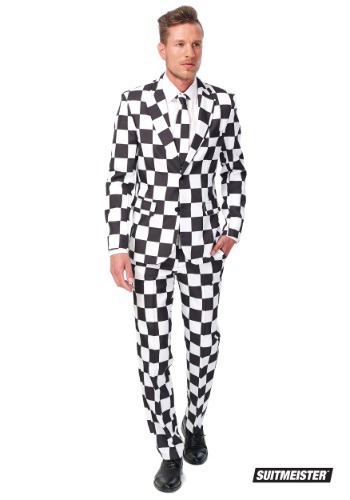 You may be wondering who would wear this beautiful, classy Men's SuitMeister Basic Checkered Black and White Suit. What kind of high-brow events are they attending? Well, don’t be so hasty to assume that this wonderful, elegant suit could only be worn by ambassadors, CEOs, and the uppity-ups of the world. Oh no! 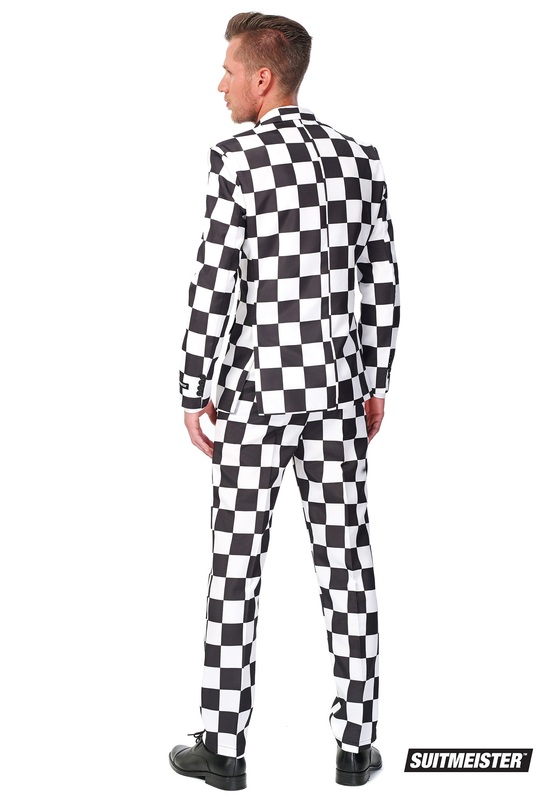 Even those who come from a very checkered past can own and wear this amazing garb! Whether you’re going to a block party, or just down to the bar, when you see a gal and checker out, you’ll be sure to elicit your desired response. And that’s the great thing about this suit! There are no surprises- it’s all black and white! And just imagine the freedom of choosing any color shoe and knowing it will match your ensemble. That is true happiness. This 100% polyester Men’s SuitMeister Basic Block Suit is guaranteed to catch the attention of your favorite gal. The twin button closure on the front will keep you looking suave as the false pockets say check-mate to the archaic, useless, real pockets of yore. As you’re trying to figure out how to tie this real, non-clippy tie, you’ll no doubt have plenty of time to ogle that fine fellow in the mirror wearing the nicely slim-fitted checkerboard suit. Oh, it’s you! Now you’re ready for the big day, as a king among pawns.